Do you ever get cravings when you run? I'm talking about during a run, not like, "running makes me eat sooo much." When I run, I often get really specific cravings. Though I haven't ran much lately since I've been sick (I did today though! ), the tea olives are blooming right now and that is my favorite thing to smell on a run. 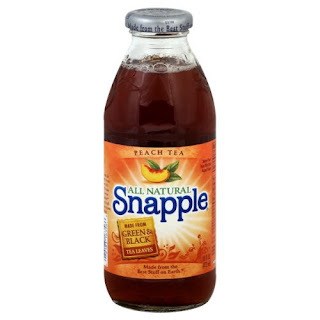 I'm not going to get into smells on a run, that's a different post for a different day, but smelling the tea olives makes me crave a Snapple Peach Tea. That's the only craving during a run that really has a direct connection to anything going on though. The other craving I have are pretty random, unless my body is just trying to tell me something. For a long time I would crave Nuun. That kind of made sense, I use Nuun as my recovery drink, especially if I sweat a lot (and I usually do). I would crave specific flavors though, like tri-berry or lemon-lime (my fave!). I've also had serious cravings for oranges or tangerines while I was running. I rarely fed that craving though, since we never seem to have them in the house when I want one. Apples and pears are other healthy things that have consumed my running thoughts. Recent cravings are not as healthy though. Lately, most of my cravings that strike me while running are for things that I don't have very often. Some that I didn't have at all for a long time. Well, one is ice cream, no surprise there, since it is my number one frienemy, but only once or twice. The one that hits me most often lately and I just can't help but indulge is a craving for Dr. Pepper! I love me some Dr. Pepper but I went so long without drinking anything but water and during that time I had no cravings like this, so it's odd. It's not always Dr. Pepper though, sometimes is cream soda or Cherry Coke. What really hits the spot is a Cherry Dr. Pepper; do they still make those? 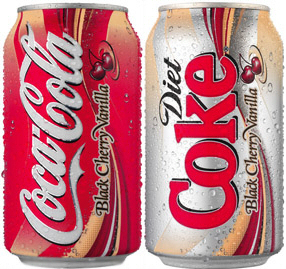 How about Black Cherry Vanilla Coke, anyone remember that? Probably the best drink ever. Those are drinks that make me glad to find those Coke Freestyle machines in more places. But then I'm also not glad because that means I drink them more and I'd really be better off just drinking water, but then again, they are sooooo good. Anyway, enough rambling about Cokes. Do you get cravings during a run? What for? Do you indulge?